Feathery cotton can be likened to steel for it has been a foundation of one of America's mighiest empires. 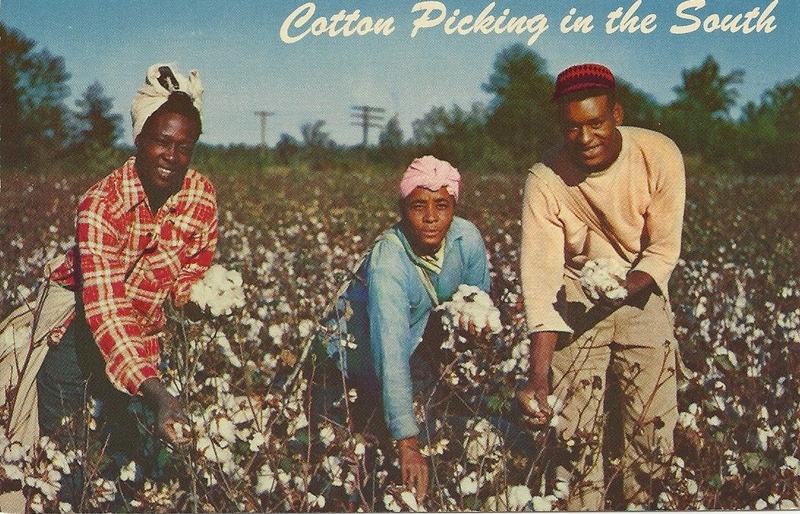 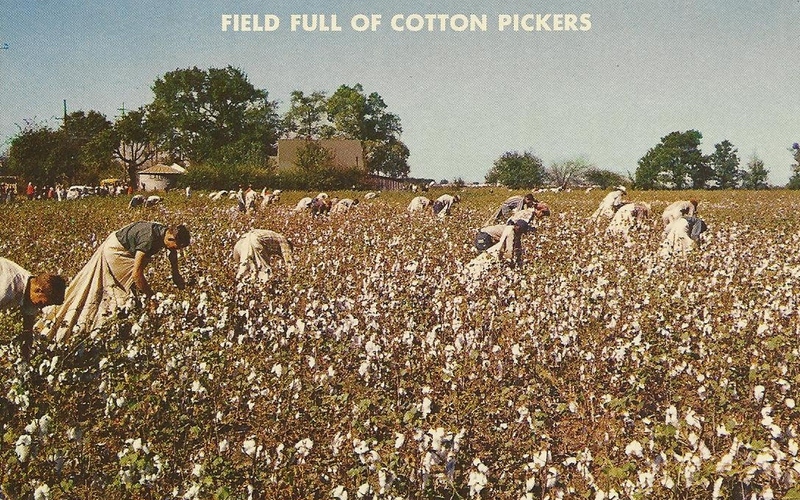 Field full of Cotton Pickers. 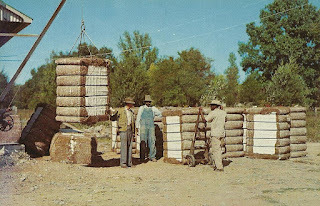 Bales of cotton just finished by a Cotton Gin are ready for the market.